A Panerai 6152/1 with Luminor Panerai dial and crown protecting device is being offered on ebay right now. “Possibly the finest example of a vintage Panerai in the world. It looks almost new although it is from 1950, complete with the original vintage Rolex movement. This 6152/1 is simply outstanding!!! This is the watch (along with the vintage Radiomir) that all modern Panerai are modeled after. This watch was offered on ebay a few time already with 1 picture only. The new listing has a few more pictures, also some of the movement. Not much to say about case, dial and hands. They appear to be genuine and in a good condition. The movement is being advertised as “original”. 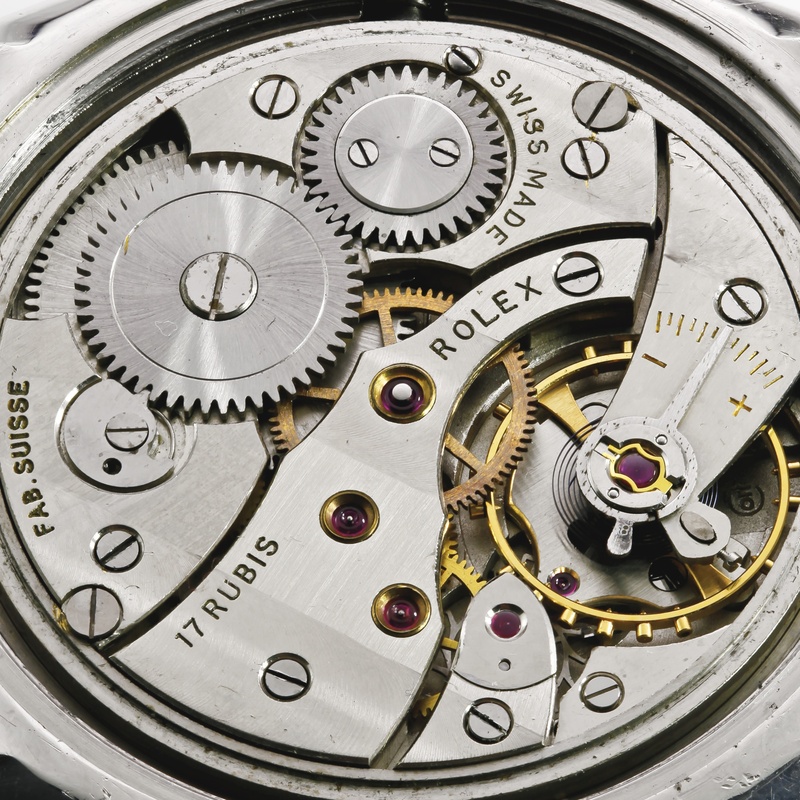 A closer looks reveals it consists of parts from many different Rolex 618 Types. This movement is far from original. An original movement for this reference would be a Rolex 618 Type 3 or 4. The only part which matches the criteria is the ratchet wheel. It is strange to see a 6152/1 in such good external condition having a movement assembled with non-matching parts.